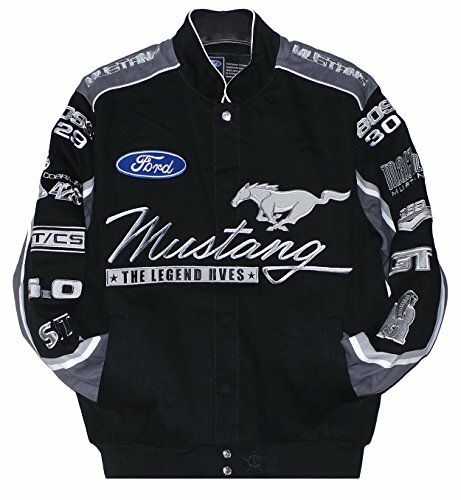 This 2017 Mustang® twill black jacket from JH Design. This high-quality snap front jacket has a durable brushed cotton twill shell and smooth polyester lining, acrylic trim, an interior cell phone pocket and 2 front pockets to keep your hands warm. The officially licensed jacket is designed with 300k multi-hit embroidered driver and team graphics on the chest, back and sleeves. If you have any questions about this product by J.H. Design, contact us by completing and submitting the form below. If you are looking for a specif part number, please include it with your message.